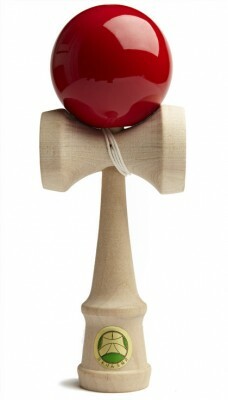 The above picture shows the JKA sticker of approval for the TK16 Master Kendama. 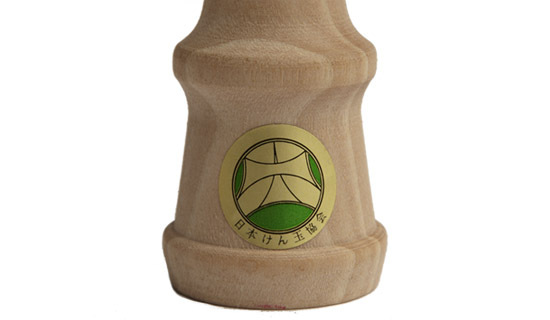 The colour designates the Kendama type, in the case of the TK16 Master Kendama, the sticker is green. The TK16 Master Kendama is a very durable model and will stand up to a lot of practice. A great choice for learning new tricks. Art Yoshii was the company behind the much revered Shin Sakura Kendama and its predecessor the Sakura Kendama but unfortunately there were problems which led to the company folding. The people behind Art Yoshii then went on to form the H Alpha company who are the manufacturers of the TK16 Master Kendama. To cut down on costs, the manufacture of these Kendamas takes place in a Chinese factory.